Safety Wooden Crates or Plywood Crates Packing. B) 25 years manufacturing experience. 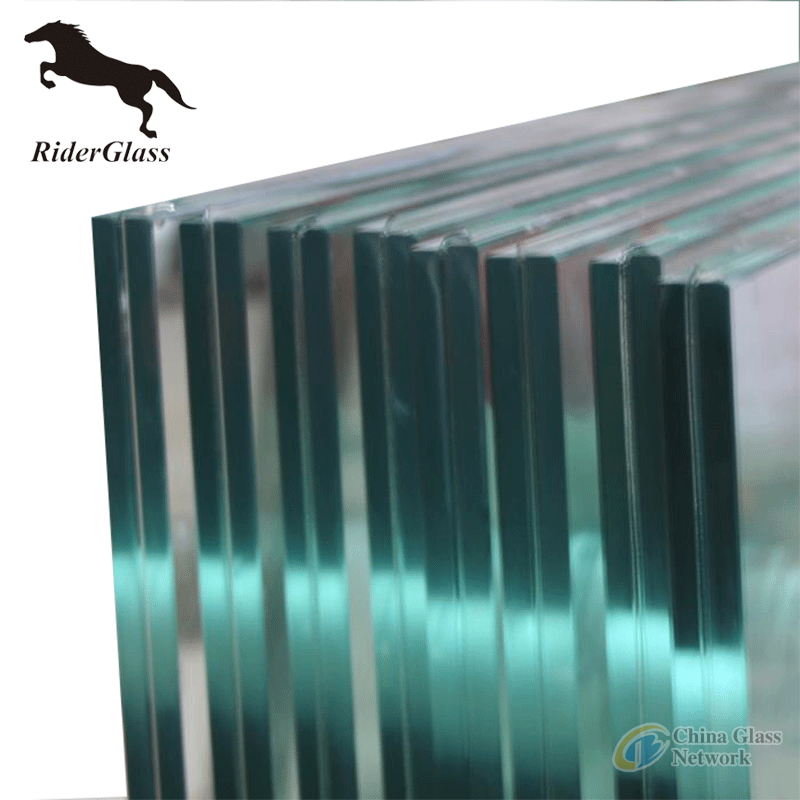 C) Rider Glass is your best choice of one-stop glass procurement. E) Glass Exporter.Glass Manufacture.Glass Enterprise.Glass Company. Laminated glassconsists of two or more glass panels that are laminated together by an elastic and tear-resistant film, usually are EVA ,PVB and SGP film.It finds widly applications in the construction industry, architecture and interior design. We can laminate different kings, colors and thickness of glass depending of the client demands and specifications. The interior film can be transparent, opaque, colored or with a special function. The maximum dimensions can up to 1800mm X 3800mm and 2500mm X 4500mm at special conditions. 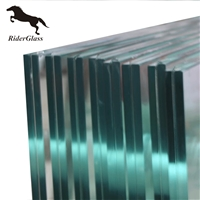 Bent laminated glass and laminated glass combined with tempered glass (for even greater strength and security) also are available in our company. Two or more layers of clear float glass "sandwiched" together with a clear PVB interlayer, laminated glass is the one glass that reconciles the aesthetic benefits of glass with a genuine concern for safety; offering superior protection against glass breakage, as well as harmful solar rays and hazardous noise levels. Due to the adhesive properties of the PVB, Rider takes careful precautions to prevent unwanted particles from attaching to the PVB during the adhesion process. Clear, Dark Bronze, Light Bronze, Dark Grey, Euro Grey, Mist Grey,Dark Green, F. Green, Dark Blue, Lake Blue etc. Answer : Wooden Crates Worthy for Ocean and Land Carriage .The crates will be very strong and every loading worker has 24 years packed, loading and fixation crates with container experience. And we send the loading pictures for you after we loading . Answer: yes, if you want us to provide big size sample according to your requirements, you should pay the cost of production.